Enjoy precise and clean cutting performance of this shear thanks to the Washi's Anti-push edge work. 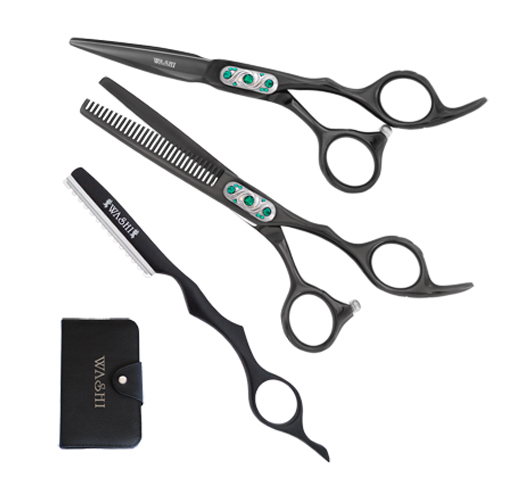 Washi's Black Buckle hair shear set features an offset bent thumb handle designed to enhance comfort and reduce thumb strain. Enjoy precise and clean cutting performance of this shear thanks to the Washi's Anti-push edge work. Set features a 5.75 cutting shear, 30-tooth blending shear, a 5-piece case, and a Washi texture razor.